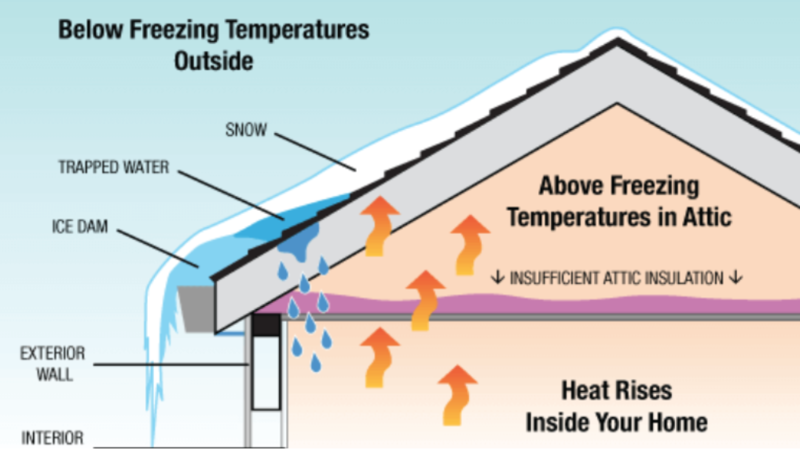 During the cold winter months, specifically following a severe snow or ice storm, ice dams can form on the edges of your roof, increasing the possibility of water damage or leakage. Residential roofing in Omaha fights back against ice dams every year, and the procedures perfected by the best roofing companies in Omaha NE are amazing. These are the dangers of ice dams on your roof from the best roofing contractor in Omaha NE. Cause water to back up under your shingles and drain into your house or building. Omaha NE roofing contractors always encourage their clients to be wary of ice dams and the damage that they can cause to your roof and home. They prevent water from properly draining off of your roof, but forces the water to seep through your insulation, ceilings, walls, and other areas causing peeling paint and indoor water damage.